I’ve often criticised the arrogance of some of those with a supernatural ideology. Their claims of special access to the “Truth,” to morality, etc. But I get especially angry when this arrogance rides roughshod over the most innocent and vulnerable people in society. Our children. Recently the Australian Prime Minister Julia Gillard announced a Royal Commission to uncover the truth about sexual abuse of children in Australia. This is a response to the public outrage against revelations and accusations of paedophilia and its cover up by a number of institutions with responsibility for care of children – including Churches. The commission has generally been welcomed across the political spectrum with the strongest concern being that it should get to work and produce results quickly. That it shouldn’t dawdle on for decades and itself contribute to the cover up. How else can Kereopa interpret an objective investigation of all bodies as persecution of his/her own organisation? Plain supernatural arrogance. Arrogance which is medieval and in this day and age deserves only a laugh. Why should the Catholic Church be exempt from such investigations, immune to even accusations or concerns? Especially as we now know its functionaries have often sexually abused the children in their care. And the organisation has often denied these crimes, protected the criminals and gone to great efforts to cover up the crimes. To the extent of allowing the crimes to continue and usually slandering the victims in the process. So, put a guy in a dress and give him a cross and he can represent a god! And you then claim that such a claim supersedes the rights of the victim? Innocent and defenceless children? Or the rights of society to get justice? Who do these people think they are fooling – or even talking to? Most of us just don’t share their particular brand of supernaturalism. We are not convinced they have special privileges putting them above the law. Their talk of angels, hell and heaven don’t convince us that they should not have to obey the same laws we do. Especially when it comes to protecting our children. I have commented on the problem of religious indoctrination at secular New Zealand schools before (see What really happens in religious instruction classes? and Cynical evangelisation of children.) That’s bad enough but a friend recently described such indoctrination occurring at a day care centre! This was a secular centre, but influenced by a church. So the obvious happened – infants came home asking about gods, devils and hell. It’s bad enough when they go after children of school age – but it seems they also consider children of preschool age, other people’s children, “fair game” as well. Unfortunately, the concentration on children is common among evangelical Christians. Consider the document is “Evangelisation of Children.” This was prepared several years ago and sees indoctrination of children as part of a general plan of world evangelisation (see my post . Jerry Coyne has a video showing an even worse side to the evangelisaiton of children – the use of emotional methods (see A Christian brainwashes two-year-olds). These people recognise that bible stories just aren’t enough. Kids go through the intellectual learning procedure and come out the other end without a strong commitment. But emotional experiences can be a lot more powerful than intellectual exercises in getting commitment. Again, it’s one thing to know that consenting adults take part in happy clapping speaking in tongues to get their kick. But imposing it on children? Even babies? That is what this video shows. Perhaps parents are a bit naive to think the religious instruction classes in our secular schools are harmless. After all, they might think, it helps kids understand how others think and won’t education in science and reason supersede these myths in the long run. That’s the message of the recent Jesus and Mo cartoon below. 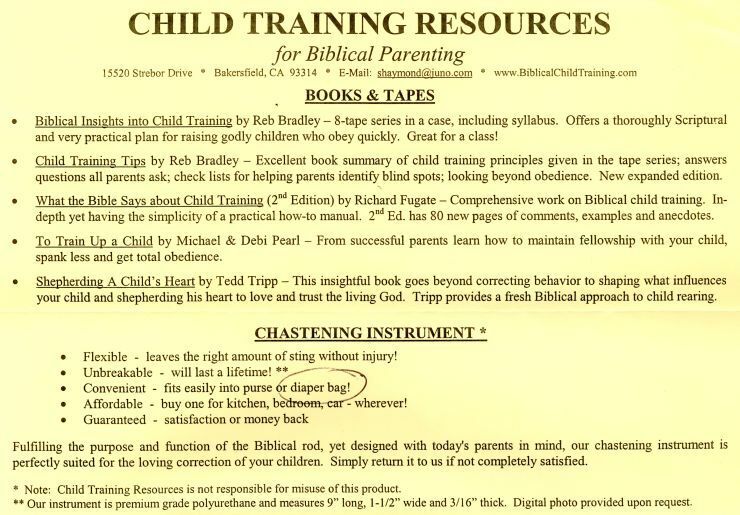 But what if the evangelicals who tend to teach these instruction classes are messing with the kid’s emotions instead? This doesn’t affect me directly, being a horrible heathen, but some readers might be interested. Some might even want to take action. The article Absolve This: Put The Catholic Church Out Of Its Misery appeared recently. It’s written by a “lapsed” Catholic disgusted by recent revelations of child abuse by the church in Ireland. It makes the point that one still gets counted by the church as a member – thus inflating the statistics. That to actually stop this it’s no good just being “lapsed” – one has to make it official. One has to actually defect. “The genius’s at Count Me Out have compiled all the information you’ll need to complete this easy process on one website. Not Irish but still want to defect? No problem, the form is universal, so just fill this out and send it to the parochial house or bishop’s office of the diocese in which you were baptised. If you haven’t defected yet, then the church is using your membership to show that they have support. . . So – for all you “lapsed” Catholics out there. Here’s a practical step you can take to end this abuse. Media reporting around the “child discipline” referendum has been atrocious. However, the NZ Herald yesterday did provide some interesting information. They brought to our attention the fact that some of the groups campaigning for the referendum have been receiving funds from conservative US religious groups (see US funding for ‘no’ vote). the article gave information for Focus on the Family but I am sure that US fundamentalist largess extends to other NZ groups. Take, for instance, the United church of God – New Zealand. In 2008 it received 40% of its revenue from its parent organisation based in the US. I suspect these sort of subsidies are widespread amongst religious groups. I watched the documentary Hand of God the other night. It left me deeply angry. The film was made by Joe Cultrera and documents the sexual abuse suffered by his brother Paul as a child. The abuser was the Catholic priest Joseph Birmingham. Paul was abused as an alter boy in the 1960s and told no one, including his family, for 30 years. Meanwhile the priest, despite other allegation of sexual abuse, was promoted by the diocesan (seems to be a common way for the church to ignore the problems it creates).